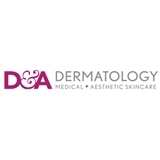 D&A Dermatology (Chicago) - Book Appointment Online! Please be courteous of our time and others. We have a 24 hour cancellation policy. For new patients, we require a credit card on file. It is only used if there is a late cancellation or no show. You will receive a call from our office asking for this information. If we do not hear from you by the requested time, we will have to cancel your appointment. If you don't see a desired time available on ZocDoc, please call the office as there may be additional availability. Please specify your reason for visit when making an appointment, so we may schedule the appropriate amount of time. Thank you. Dr Ida and his team were able to help me with my chronic excema condition and how to minimize the issue. My hands have never been better and if I have new skin concerns, he does a great job addressing those issues too. I would highly recommend him for a dermatologist! I've had sensitive skin all my life and it's great that I can take better care of it.